This really sounds like he's talking to me. 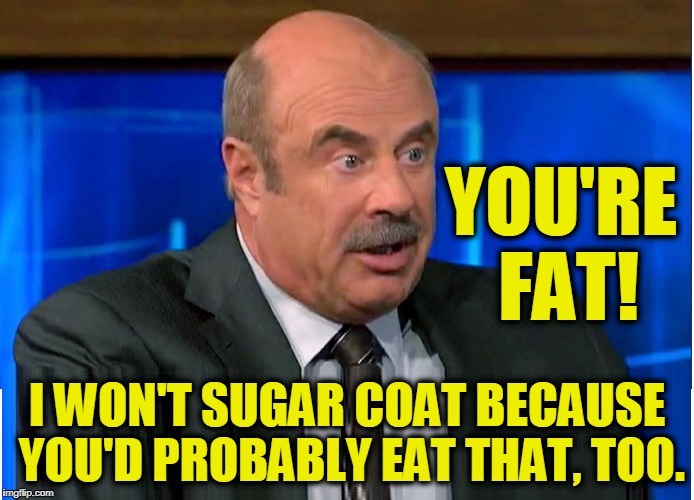 YOU'RE FAT! I WON'T SUGAR COAT BECAUSE YOU'D PROBABLY EAT THAT, TOO.